Beef chuck typically requires a long cooking time. Beef chuck can be used in stew. 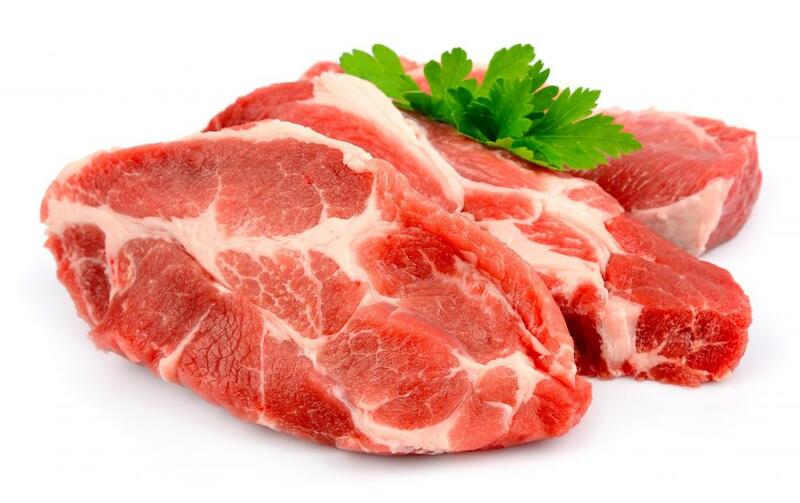 Beef chuck refers to a cut of beef that comes from the upper portion of the cow, generally near the shoulder and upper foreleg. Since these areas of the cow tend to contain a high percentage of muscle, cuts of meat from the chuck portion often have a tough texture due to the connective tissues found in the muscle. Chuck cuts of beef are typically recommended for recipes that call for a long, slow cooking time, and are not usually recommended for quick cooking methods, such as grilling or sautéing. One of the most common cooking methods for beef chuck is braising. Braising is a culinary term that refers to covering food with a liquid, and then slowly cooking it over a low temperature for an extended period of time until the food becomes tender. 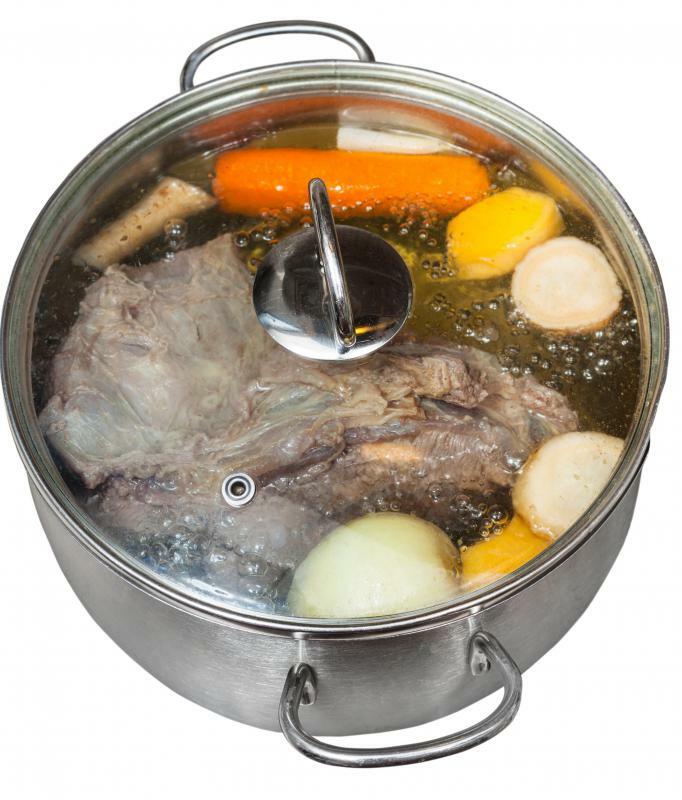 Liquids that are often used for braising this cut of meat include wine, broth, or water. Chuck may also be roasted without liquid in an oven set at a low temperature until it becomes tender. Due to the high amounts of connective tissues in chuck, the cut can generally withstand long cooking times without concern for being overcooked because the longer it cooks, the more the heat breaks down the tough muscle and makes it tender. Chuck roast tends to be one of the most widely used specific types of beef chuck. Also commonly packaged and sold as pot roast, chuck roast often refers to any of the larger cuts of meat taken from the shoulder or arm area of the cow and may or may not be sold with a bone in. This type of meat is typically utilized for pot roast recipes, in which the large, tough cut of meat is covered and braised in liquid along with vegetables, such as onions, potatoes, and carrots. Although the exact time may vary depending on the recipe, pot roast recipes often take a minimum of three hours for the tough connective tissues to soften. One of the few types of beef chuck that may be recommended for quick cooking is top blade steak, also known as a flat iron steak. Although top blade steak also comes from the muscular shoulder area of the cow, it tends to be more tender than other cuts because it contains more fat, which adds to its moisture and flavor. Top blade steak is often cut into thin strips and used for stir fry recipes, or it may be grilled or pan fried briefly on each side until the center of the meat reaches the desired doneness. How Do I Choose the Best Flat Iron Steak? What Are Beef Chuck Ribs? What Is Boneless Beef Chuck? What Is Ground Beef Chuck? How Do I Roast Beef Chuck? What Are the Best Tips for Cooking Beef Chuck?